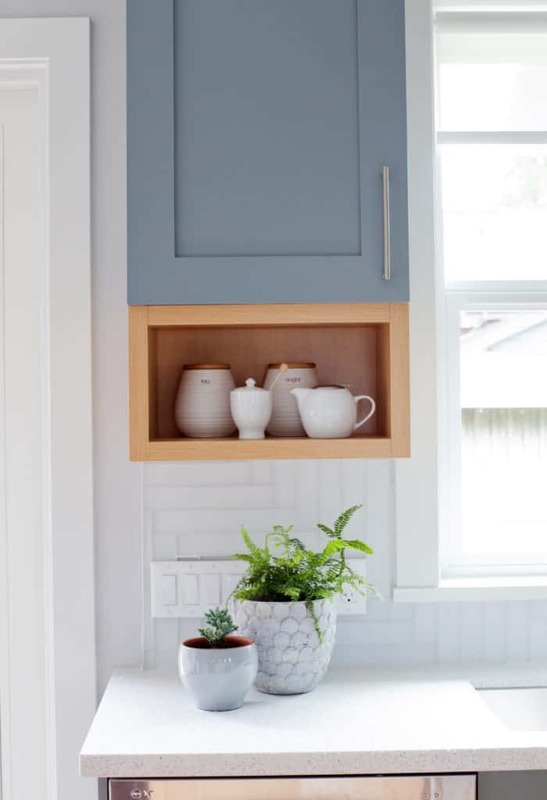 Jane & David | Love It or List It Galleries | Merit Kitchens Ltd.
Old homes can come with plenty of charm, but often feature spaces that lack modern-day functionality. 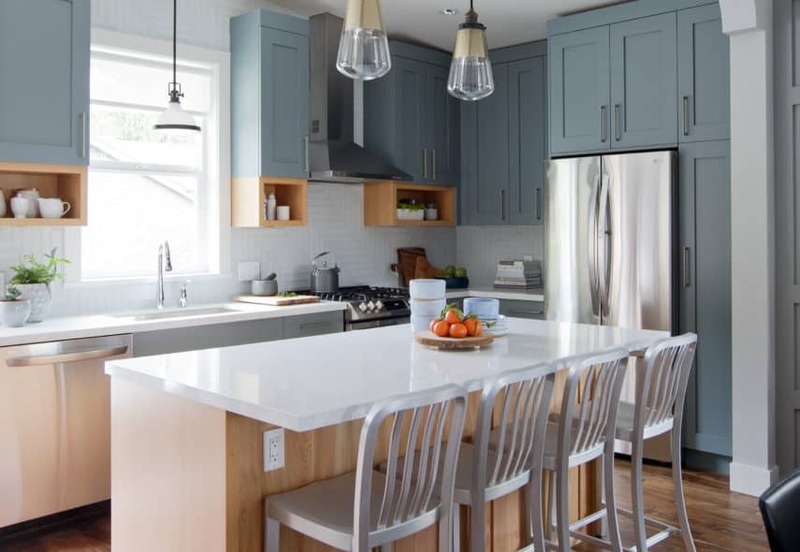 Jane, David and their two teens moved to be closer to nature, but ended up buying a home that was expensive and needed a lot work – especially in the kitchen. Jillian to the rescue. 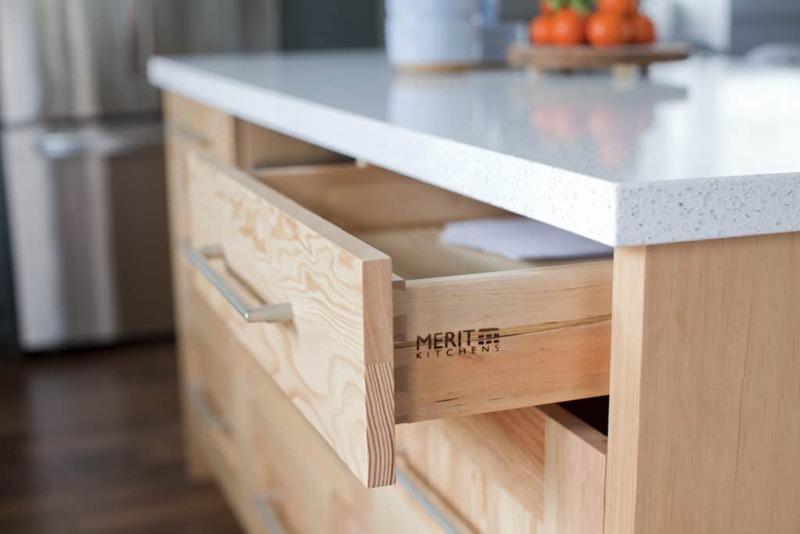 Small drawers and lack of counter space were just a few of the issues that needed to be addressed. A brilliant breakfast bar now sits at the centre of a kitchen the flows and gleams the way a modern space should. 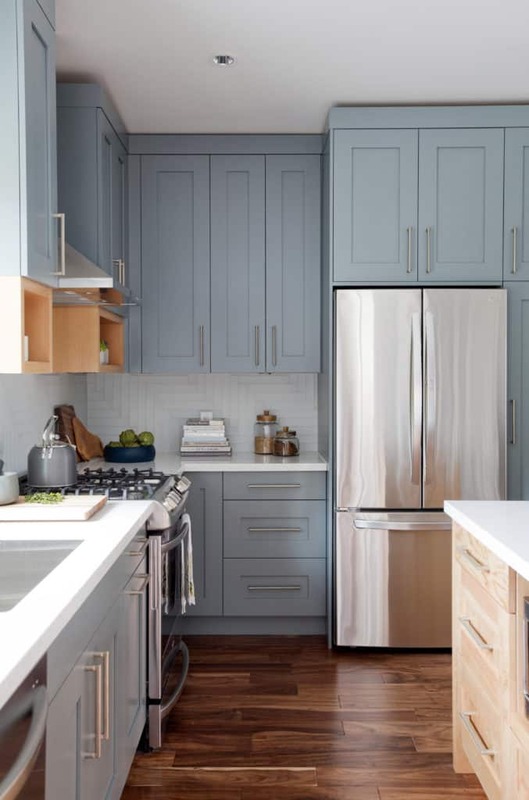 Beautiful Merit Kitchens cabinets in a stunning blue hue help bring the space to life.